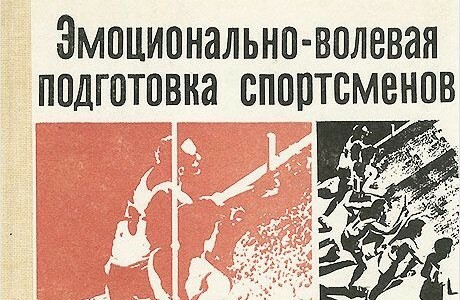 Aleksandra Brokman explores how the Soviet Union used psychological techniques to improve athletes’ performance, at a time when sport was a key arena of Cold War competition between East and West. At three special training camps held in 1983, highly qualified parachutists belonging to the Soviet national and the Russian republican teams were instructed in the methods of psychological self-regulation. In addition to their standard training programme, these athletes spent time learning and performing autosuggestion techniques designed to help them control their bodily processes and sensations, to develop or strengthen the characteristics believed to be indispensable for success in parachuting, overcome psychological barriers, and ultimately to improve their performance[i]. These lessons formed part of a research project led by M. Ia. Bondarchik, a senior researcher at the Laboratory for Medical and Biological Scientific Research into Technical and Military-Applied Sports. He sought to investigate the application of emotional-volitional training (EVT) to these disciplines. 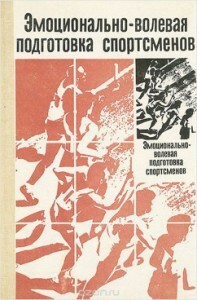 It constituted yet another step in the development and growing popularity of the application of psychological self-regulation techniques to the training of Soviet athletes. This had been a trend since the USSR’s entry into the arena of international sport competitions, a key battleground in the cultural Cold War since the 1952 Helsinki Olympics. It also came as a result of the official recognition of sport psychology as an independent discipline in the Soviet Union in the 1950s. The psychotherapists, who were medically trained, entered the stage slightly later in the 1960s. After initial attempts to increase athletes’ skills and resilience through hypnosis, various forms of autosuggestion such as EVT became the most widespread psychotherapeutic methods used in the work with sports teams. A.T. Filatov – Emotional-Volitional Training of Cyclists. 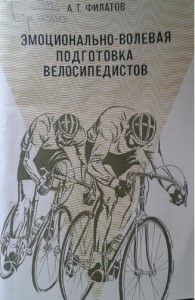 The techniques were developed by Arkadii Timofeevich Filatov, the head of the School of Psychotherapy, Psychoprophylaxis and Mental Hygiene at the Ukrainian Institute for the Advanced Training of Physicians during his work with cycling teams. They were rapidly taken up by psychotherapists working with all types of sports teams. They taught athletes how to evoke particular sensations in their bodies, and to inculcate themselves with certain attitudes, emotions and convictions. ‘You are feeling calm. You relax your muscles. Calmness and relaxation spread to the nervous system. (…) Every nerve cell and every nerve in your body relaxes and rests. You feel pleasant warmth and heaviness in all your body. (…) The feeling of heaviness is brought about by the widening of blood vessels in your body. The blood vessels in your muscles and in all other parts of your body had widened. The blood washes away from the muscles the substances produced during intensive work. It brings the nutrients. (…) Thanks to the widening of blood vessels, the nutrients are quickly absorbed into the blood stream and carried around the body. (…) Your muscles are resting and getting stronger. Their strength and endurance increase’[v]. “Self-confidence is not a characteristic people are born with. They work on it and develop it. The level of self-confidence depends on whether it was nurtured. Human abilities are limitless here. People who are born shy, if they systematically work on themselves, can become confident, decisive and resilient”[vii]. They continued by describing how athletes’ work and commitment to auto-suggestion were bearing fruit. Human will could reshape both the body and the mind. With the assistance and guidance of a psychotherapist, discipline could govern physiological and psychological processes. Unhelpful attitudes could be fundamentally transformed. Athletes were encouraged not only to conform to a healthy diet, but to change their beliefs about it: autosuggestion trained them to see that the recommended food was beneficial, and to experience it as tasty[viii]. Bondarchiks’ research team ended their description of their work with parachutists by listing the achievements of those who used EVT or other form of suggestion in their training. The list included victory at a Soviet Spartakiad competition, many medals and one world championship[ix]. The list is a reminder that the chief aim of psychotherapeutic techniques in the athletes’ training was to help them improve their performance and to achieve better results. Soviet athletes were supposed to be champions at the international competitions – sport was an arena where it could be demonstrated that Communist society could produce superior human specimens, where the Cold War clash of civilizations played out in physical, bodily terms. It is also a fascinating case study of how psychotherapy left the clinic in the Soviet Union: techniques originally developed to treat mental disorders were now being applied to healthy subjects. The goal of EVT and similar psychotherapeutic techniques was to ‘bring up’ athletes who constantly strove for greater mastery over their bodies, emotions and attitudes, and through this striving became more likely to achieve victory. Mitigating mental illness was no longer the sole goal of therapy. Instead, psychotherapists sought to instil the habit of working to improve the body, psychological responses and character – all in the never-ending quest for human self-perfection. 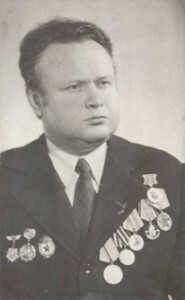 The athletes who successfully embarked on this quest, and demonstrated Soviet superiority through their victories, could be presented at home not only as heroes, but also as role models whose dedication, determination and self-control were an example to be followed by all Soviet citizens. [i] The State Archive of the Russian Federation, f. r-9552, op. 15, d. 14, ll. 4, 27-35, 77. [ii] Mstibovskaia, I.I., ‘Legkaia atletika’ in Filatov, A.T. (ed. ), Emotsional’no-volevaia podgotovka sportsmenov. (Kiev 1982). [iii] Ryba, T.V., Stambulova, N.B., Wrisberg, C.A., ‘The Russian Origins of Sport Psychology: A Translation of Early Works of A.C. Puni’ in Journal of Applied Sport Psychology 17 (2005). [iv] Filatov, A.T., Emotsional’no-volevaia podgotovka velosipedistov, (Kiev 1975). [viii] Koleshao, A.A., “Boks” in Filatov, A.T. (ed. ), Emotsional’no-volevaia podgotovka. [ix] The State Archive of the Russian Federation, f. r-9552, op. 15, d. 14, l. 35.